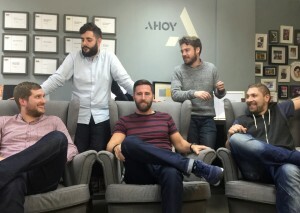 Manchester digital agency Ahoy says it has increased turnover by 100%, to £520,000. The agency is one year into a three-year growth plan to reach £1m turnover by 2016. New clients over the past year have included Fashion Union, Threadbare, Greene King, Lancashire Farm Dairies and Tyres On The Drive. It's also brought Magento development and digital marketing in-house. MD Mark Stringer said: “We have always planned to bring Magento, search and social media services in-house, but were waiting for the right time and the right talent to be available to us. The agency, which says it will launch a new website later this year, launched in 2008.